Made in 2014 but only released now thanks to its US distributor, Relativity Media, filing for bankruptcy last year – which explains the credit “and introducing Jacob Tremblay” – Before I Wake is a horror thriller that takes the idea of dreams (and nightmares) that are able to come to life, and have a lasting physical effect on the “real” world. The focus is on a young boy, Cody (Tremblay), who has the ability to, literally, make dreams come true. After a string of foster placements break down because of this ability, Cody is placed with Jessie and Mark (Bosworth, Jane), a couple who have decided to foster following the death of their young son, Sean (Romero). Cody settles in and at first all is well, despite his unwillingness to get a good night’s sleep. Instead he uses caffeinated drinks to stay awake, all so he can ensure that he doesn’t have a nightmare and summon the Canker Man, a force for evil that devours its victims. Cody believes the Canker Man killed his mother, and is responsible for the disappearance of some of his previous foster carers. But while he may have nightmares that bring the Canker Man to life, Cody also has regular dreams, and ones that give life to Cody’s chief interest: butterflies. Soon, Jessie and Mark are revelling in the appearance of dozens of these magnificent creatures; at least, until Cody wakes up – then they disappear in a puff of smoke. Cody’s interest in Sean leads to his appearing one night, and as real as when he was alive. Jessie is quicker to associate Sean’s “return” with Cody’s dreams than Mark is, and she soon takes advantage of the situation, ensuring Cody sleeps so that she can spend more time with Sean. Once Mark becomes aware of what she’s doing, and highlights how inappropriate her behaviour is, it proves to be too late. 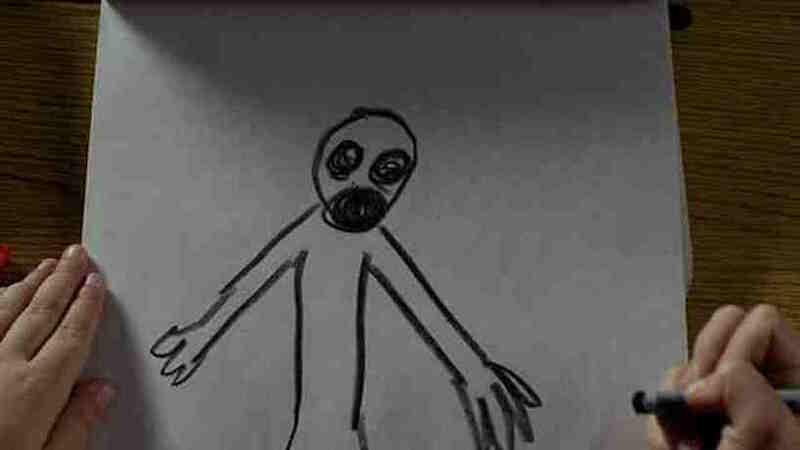 Cody has a nightmare, and the couple have their first experience of the Canker Man, a terrifying creature that threatens them both. Following on from this, Jessie decides to find out more about Cody’s life before she and Mark began fostering him, and to see if his past holds any clues that will help deal with the threat of the Canker Man. There are lots of horror movies that take place in a dream world, or in the realm of waking dreams, but very few where dreams are allowed to manifest themselves outside of these arenas. 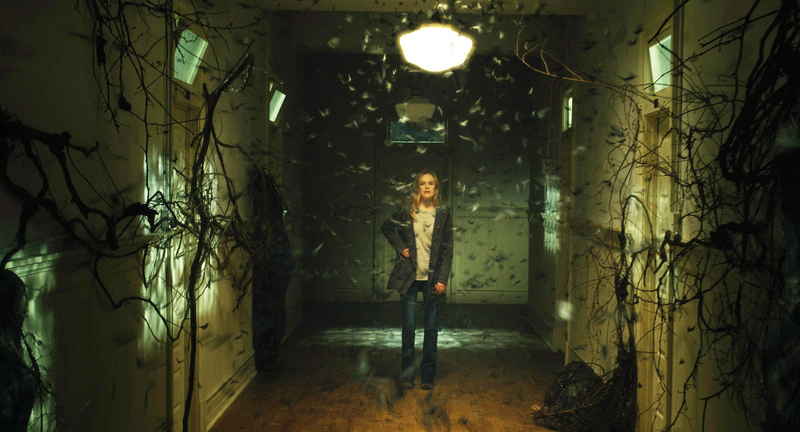 The beauty of Before I Wake – at least in its first thirty to forty minutes – is that it patiently sets up the rules of its scenario and does its best to adhere to them. During this period we see a particular cause and effect to Cody’s dreams that shows writer/director Mike Flanagan, and co-writer Jeff Howard, have thought their movie through, and have done their best to ground it from the start. However… once Jessie begins looking into Cody’s past, all that patient build up and attention to detail is abandoned, and the movie loses its identity to become yet another generic horror thriller (Flanagan refutes the idea that this is a horror movie, preferring the term “supernatural drama”; he has a point but it only goes so far). But as already mentioned, the script hives off from this approach into much more familiar, and prevalent, territory as Jessie delves into Cody’s past. This involves the easy theft of his social services file (complete with the location of the children’s home he’s sent to once things have escalated beyond the point where Jessie and Mark can deal with everything themselves), a visit to a mental institution to talk to a previous foster parent, Whelan (Mihok), and a confrontation at the children’s home where all the staff appear to have gone home for the night. Again, the credibility built up until now is left to drift off by itself, discarded in favour of a showdown between Jessie and the Canker Man that is thankfully brief, and true to the nature of, and reason for, Cody’s dreams. Flanagan is a talented rising star, and while Before I Wake has its problems, he’s still able to show a confidence in the material, as well as the visual design, that bode well for any future endeavours. He’s also able to coax a good performance from the criminally under-used Bosworth, and shepherds Tremblay through his first lead role in fine style (even if his sing-song voice can be a bit grating at times). Sadly, Jane gets sidelined by the script too many times for comfort, but at least he’s in good company, with Gish (as a harried social worker) and Mihok allowed just enough time to move things forward when necessary. Some viewers may find themselves struggling to connect the dots once Jessie relates Cody’s unfortunate history, and some may even feel that it’s all too contrived, but at least Flanagan doesn’t pitch a special effects laden climax at his audience. There are a few scares along the way, but none that will trouble anyone who’s seen any recent scary movies, and no last minute idea for a sequel (hallelujah!). 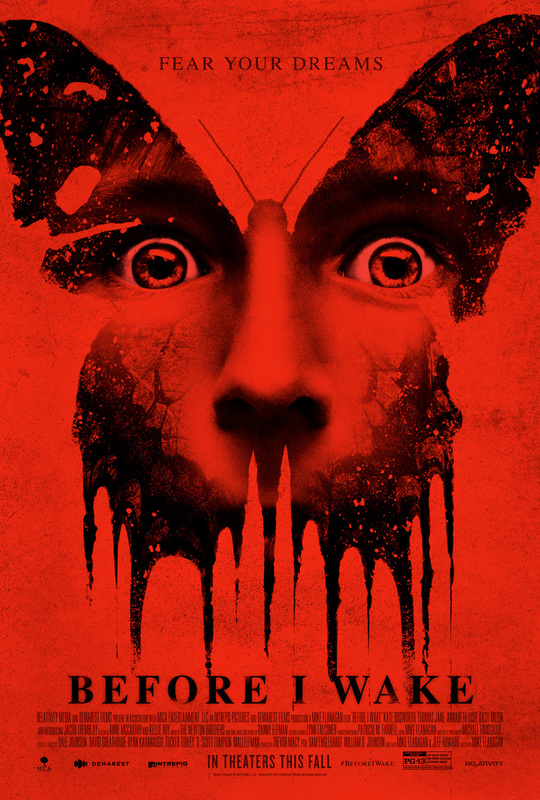 Rating: 6/10 – a bunch of narrative inconsistencies and moments where the movie goes “off reservation” aside, Before I Wake is a hybrid horror/thriller that provides enough tension in its first half to help overlook the failings of the second; Bosworth is good value as always, and there are genuine moments of beauty thanks to Flanagan’s use of a kaleidoscope of butterflies as a potent indicator of Cody’s dream state. What the hell ll happened to Mark? Well… he should have come back once The Canker Man was defeated, but I don’t think the makers were interested in tying up such a big loose end!